Once again, Nomess impresses with a simple, functional and versatile design object. 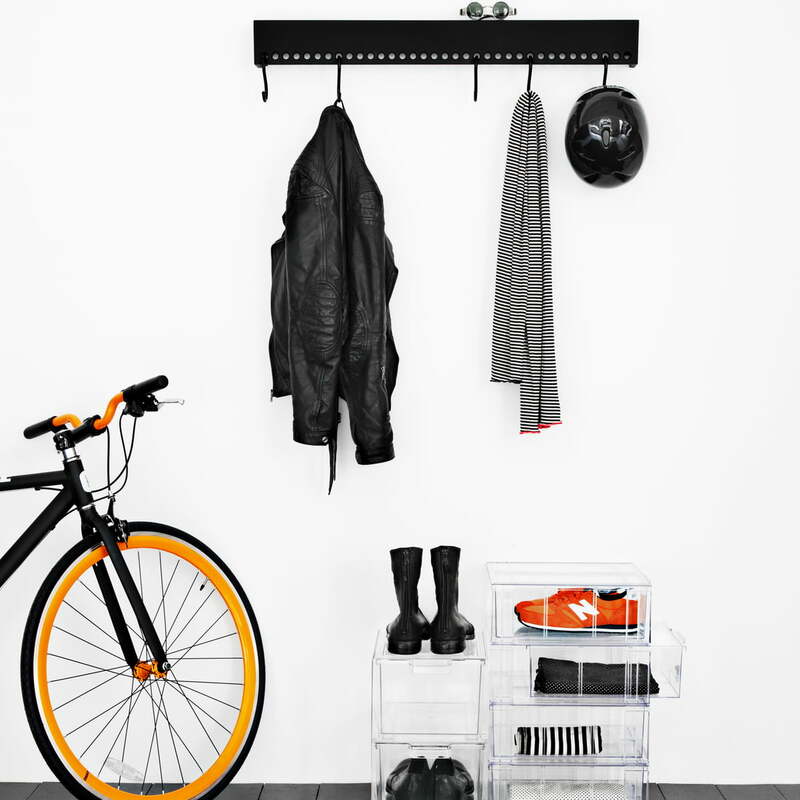 As the name implies, the So-Hooked coat rack by Nomess Copenhagen is a discreet bar that serves to hang up clothing thanks to the S-shaped hooks. 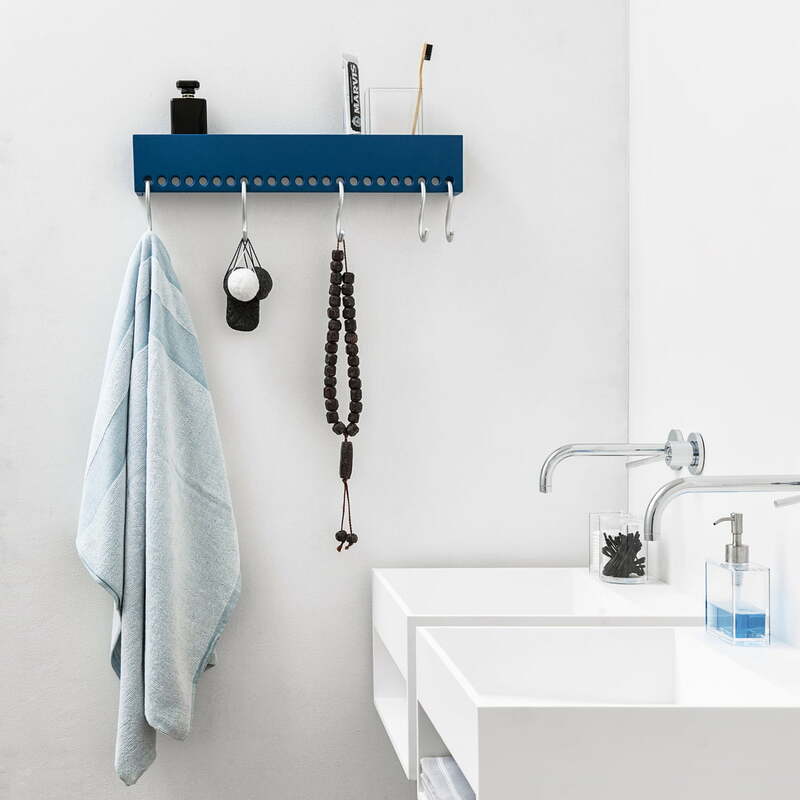 The So-Hooked coat rack is flexible in use: Whether in the entrance area for jackets, coats and scarves, in the storage area for cleaning supplies and bags or in the bathroom for towels, So-Hooked is a functional as well as elegant solution. 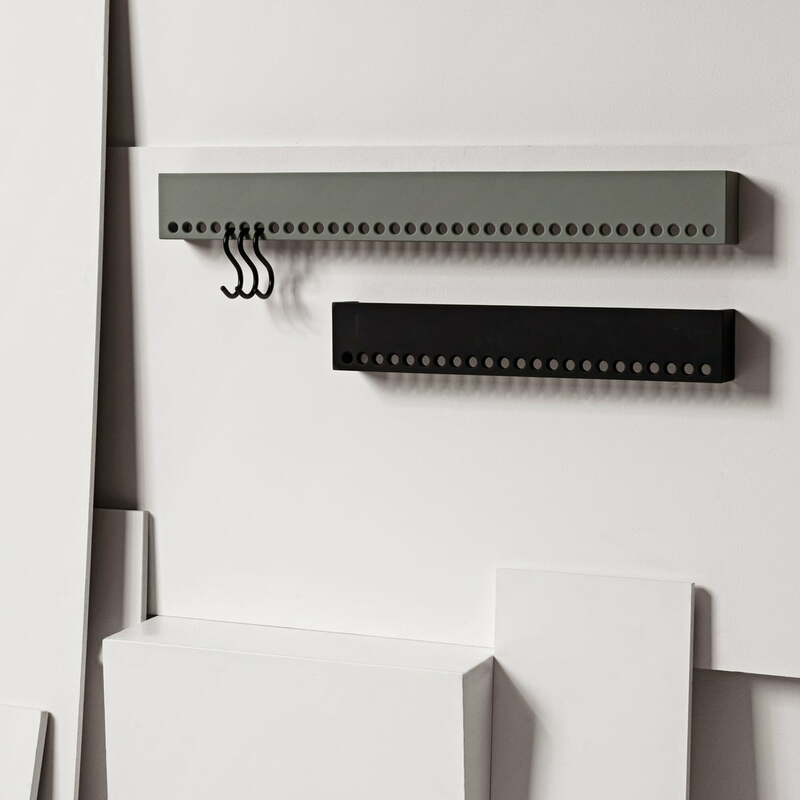 Depending on the space required, the Nomess wall rail is available in black and white and in the length 60 cm and 90 cm. Five S-hooks are included when you order the So-Hooked coat rack. 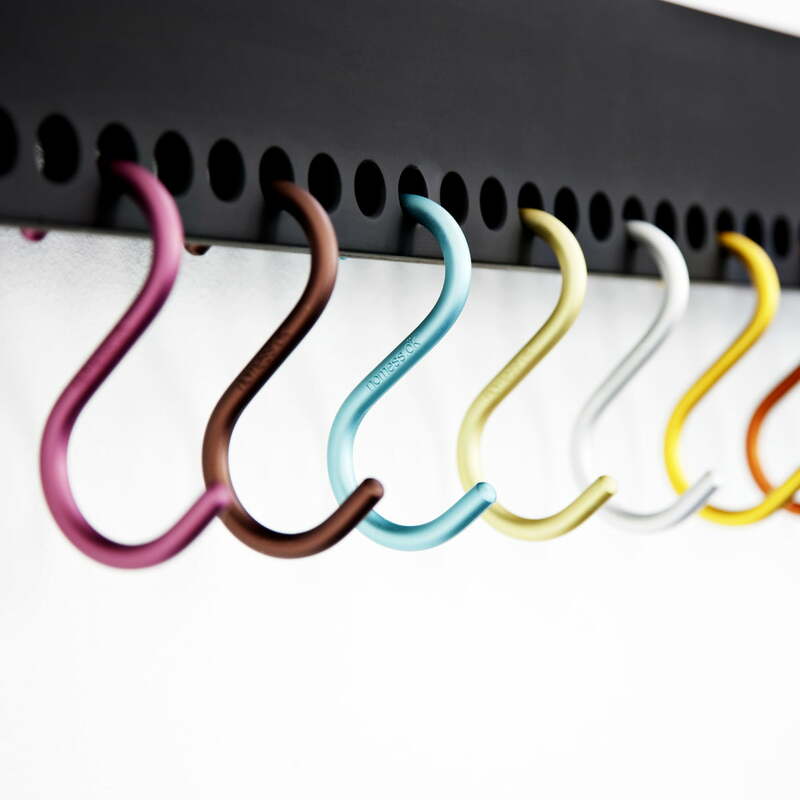 With the So-Hooked wall-mounted coat rack in black and the different-colored S-hooks from Nomess, your garments will look radiant. 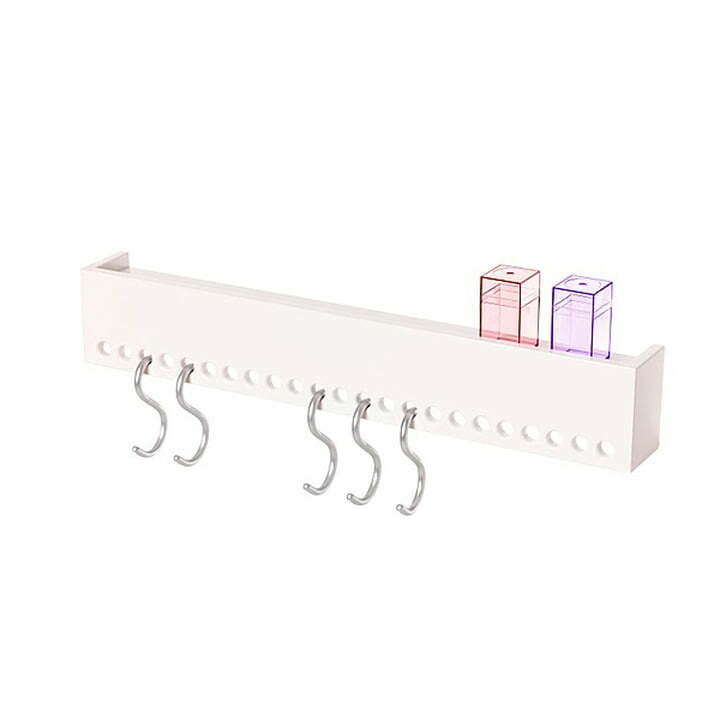 The bar and S-shaped hooks are functional as well versatile design objects. Suitable for kitchen, bathroom, entrance area or living room.